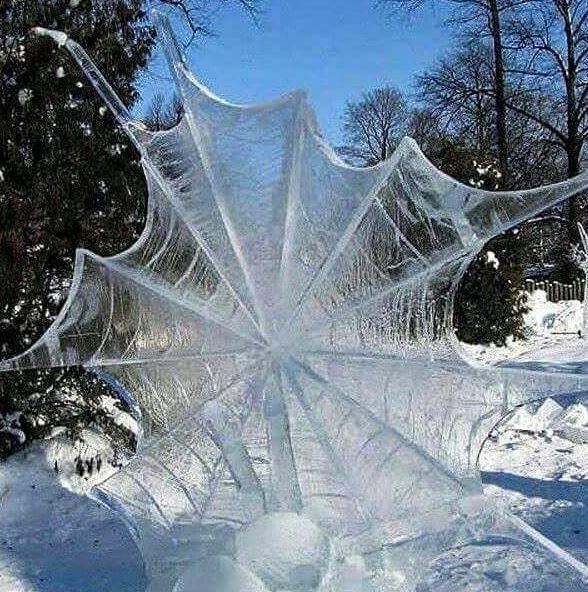 Is this really a frozen spider web? Nope: it is an ice sculpture photographed by Sami Uskela (via Flickr). Debunked by Michael Merrifield on Twitter.